Loneliness is an epidemic affecting men and their mental health but pride, and having no one to turn to, means many won't even admit it. In the UK, 11 percent of men say they are lonely on a daily basis, with 35 being the average age men say they feel most isolated. Around 35 per cent said being lonely made them feel depressed, with nine per cent revealing that they had no regular friends. 1 in 10 are lonely and won't tell anyone. 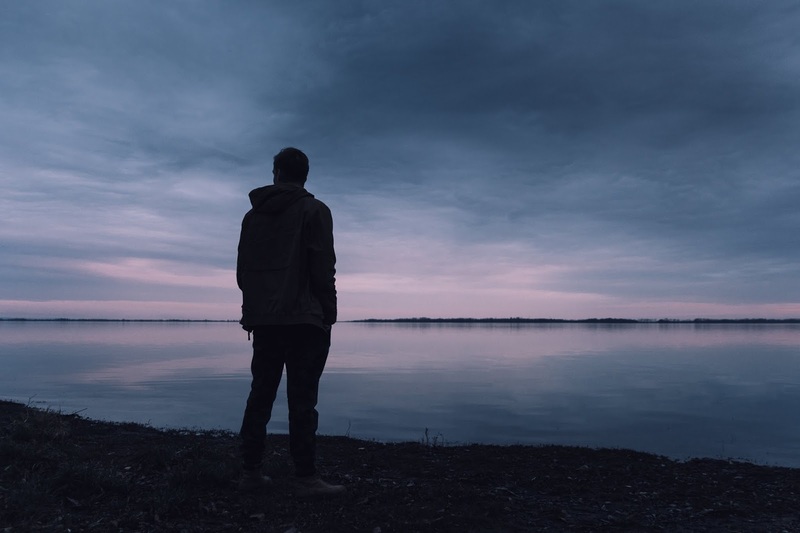 Perhaps it's the perception that men, especially young men, should have all sorts of friends and acquaintances but it seems like no one feels comfortable talking about loneliness. Loneliness is also stereotyped as something that only affects old people which makes it even more difficult for many young men to own up to their loneliness. And that is often the beginning of deeper issues, with the potential of causing low confidence and maybe even escalating into a mental health issue. The idea that loneliness is bad for our health is not new. In 1988, Science Magazine noted that "social relationships, or the relative lack thereof, constitute a major risk factor for health - rivalling the effect of well-established health risk factors such as cigarette smoking, blood pressure, blood lipids, obesity and physical activity". It is also worth noting, however, that loneliness is often out of people's control. For Craig, a 37-year-old head of talent acquisition, relocating out of London, where he enjoyed a fruitful social life, to rural Oxfordshire to settle down with his wife, meant the only people he knew were his wife and her family. Thankfully, Craig was able to use his hobby of running to meet new, likeminded people, via running and cycling social networking app Strava. Unlike many men in Craig's position, he was able to own up to his loneliness, which meant help was easier to find. According to Craig, "there is no shame in owning up to feeling lonely, it doesn’t make you a loner or suggest that anything is wrong with you. It is often situational, and so naturally, when moving to a completely new area there will be a period of time where you are getting to know local people, and therefore, do feel lonely. If you are like me, and love spending lots of time with friends it can be especially difficult, so I would just say to make effort in making new mates and starting conversations, whether it’s at the gym or at work, and naturally you will start to make friends in no time". Be a ‘yes’ man! - Know of a party going on? Perhaps you’ve been invited to a school reunion on Facebook? Go for it. You may feel out of your comfort zone, but it adds excitement to your life and gives you opportunities to meet people that sitting at home won’t. Clubs - Follow and explore your interests to find a new hobby. MeetUp is a great starting point for finding cool, local clubs. Adrenaline junkie? Try kitesurfing. Fancy yourself as a photovideo explorer? There’s a club for that too. Looking to get fit? CrossFit Local’s a popular choice. Challenge yourself to learn a new skill or do what you enjoy - like drinking beer or eating chocolate. Apps – Into your fitness? Why not download Strava – a run and cycling tracking social network where you can meet like-minded fitness fans. Reaching out may result in a regular exercise buddy (and extra motivation!). Bumble BFF also connects you with local people looking for friendship. Take on a challenge for charity – Unleash your competitive streak and meet people in the process –take a leap of faith by registering via a charity, like Bring It On 4 Ben. Who knows? You could soon be swimming the Serpentine or cycling Coast to Coast for a worthy cause supporting others in need. Pets - Animals make great companions if you’re feeling lonely. But they also offer the opportunity to meet more people. Find a dog walk meet-up group near you. Don’t own a pet? Why not sign up forBorrowMyDoggy or walk a dog for charity? And it could boost your love life, too. Research has even shown that 35% of women and 26% of men are more attracted to someone with a pet – win-win. Events - Immersing yourself in your favourite band’s music at a gig, or listening to a fascinating talk, can both be enjoyed alone and introduce you to people with similar tastes. EventBrite and Nearify are valuable sources of inspiration for events in your area. Network - Networking needn’t be ‘talking shop’ but an opportunity to meet people passionate about the business they’re in. Find networking events in your region, or reach out to someone who inspires you on Twitter or LinkedIn for a coffee. Volunteer – If you fancy something a little less extreme than a challenge event, there are so many great charities seeking volunteers. It’s a chance to meet inspirational people and embed yourself in the local community. Do-it.org lists local opportunities across a range of sectors.